Barbie enjoys a celebrity lifestyle. In her photos she’s at elite events wearing the most fashionable clothes and accessories. Her style and celebrity have drawn 700,000 followers to her account. She’s clearly fond of taking selfies. Her friends, boyfriend, and dog sometimes feature but she seems to prefer to be alone in them. The team that managers her Instagram account use her star status to get her into top events around the world, such as The Golden Globes, where she’s given the same status as other, realer celebrities. 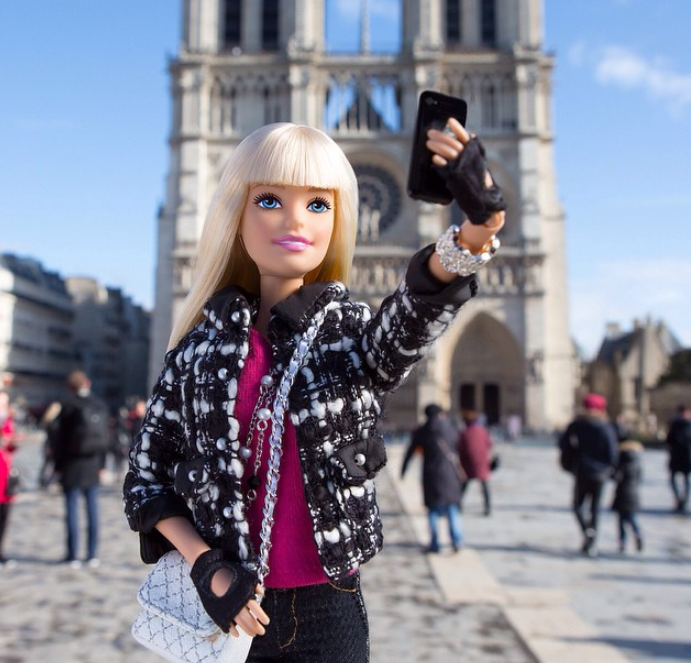 The management team travels around the world with Barbie, prepping her wardrobe and managing her social calendar. Currently Barbie doesn’t accept sponsored money from the designer dresses she exhibits – but that’s something that advertizers could look into down the road. The full article discusses how the idea came about, the secret to ensuring the Instagram posts are well received, and more. You should read it here.